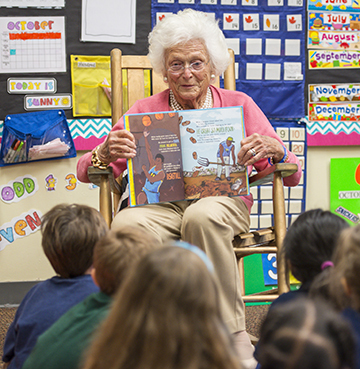 Barbara Bush reads to kindergartners at Poe Elementary School in October 2015. It is with sorrow that we regard the passing of Mrs. Barbara Bush. It is with joy that we celebrate a life so well lived and an exemplary model of advocacy for children. Her vigorous pursuit of literacy for all children is indeed but a small testament to the person she was and to what she stood for. Mrs. Bush’s literacy efforts will live through many generations of well-read children who as adults will instill those skills in their children thereby sustaining her never ending legacy. The HISD Board of Education sends our thoughts and prayers to the family and friends of First Lady Barbara Bush and will always be grateful for their sharing her with us and the many children she served. This entry was posted in Board of Education, HISD: Our Story, Literacy, News and tagged Barbara Bush, Barbara Bush Houston Literacy Foundation on April 18, 2018 by HISD Communications. 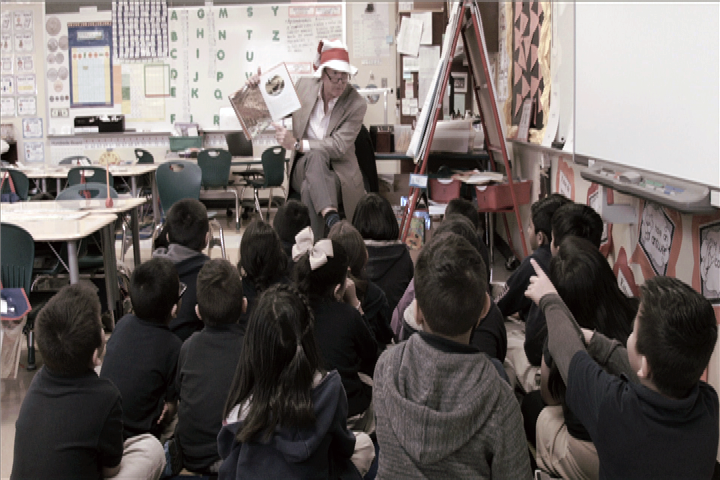 Pre-K and first-graders at Walnut Bend Elementary celebrated the love of reading Monday with the help of volunteers from Phillips 66 and the Barbara Bush Houston Literacy Foundation. The day marked the birthday of Theodor Geisel, better known as Dr. Seuss, and was National Read Across America Day. This entry was posted in District VI - Holly Maria Flynn Vilaseca, Literacy, Read Houston Read and tagged Barbara Bush Houston Literacy Foundation, National Read Across America Day, Read Houston Read, Walnut Bend ES on March 3, 2015 by HISD Communications. 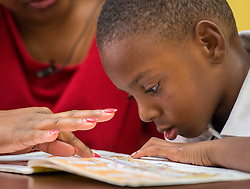 HISD and the Barbara Bush Houston Literacy Foundation encouraged Houstonians to volunteer for the Read Houston Read literacy program in honor of ‘Giving Tuesday’ — a day specifically established to celebrate generosity and give back. 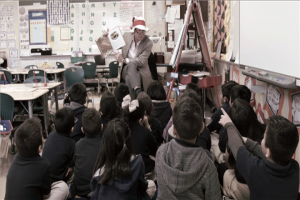 This entry was posted in District VII - Anne Sung, Literacy, Read Houston Read, Volunteers and partnerships and tagged Barbara Bush Houston Literacy Foundation, Memorial ES on December 2, 2014 by HISD Communications.